Are you ready to turn your ideas into reality and build a wildly successful business? There has never been a better time to say yes! 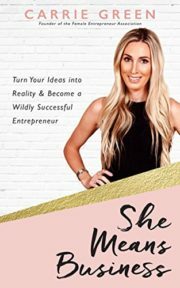 With a computer and an Internet connection you can get your ideas, messages, and business out there like never before and create so much success.In this book, Carrie Greenshows you how.